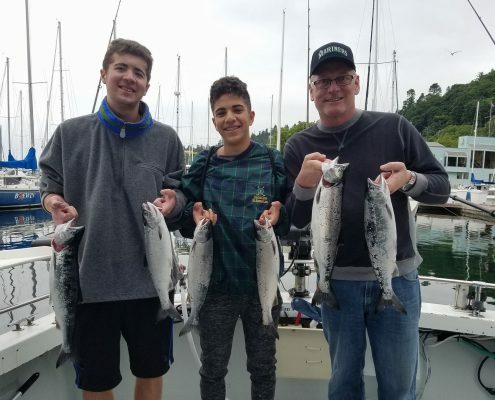 Make Sure you have the correct location for your Charter as we depart from Seattle and Everett regularly and you do not want to be at the wrong location on the day of your trip. You must reconfirm your reservation the day before your trip to make sure of the departure time and location 425-252-4188. Summer fishing is at Seattle most of the time.